Out on March 23, Afghanistan ’11 is the second PC wargame from Johan Nagel, a South African who fairly recently swapped a well-paid job in risk mitigation for a far less remunerative one in risk creation. Because of Mr Nagel and a reassuringly engrossing slice of A11 preview code I now have a crippling fear of road hexes and a serious case of bunker mentality. Though the scope of the preview code is limited (only four tutorials and two of eighteen campaign scenarios are playable) I’ve seen enough over the last few days to realise that all my nagging A11 fears were groundless. Every Single Soldier’s second release isn’t just a sandier, hillier version of their first one. Logistical streamlining hasn’t sidelined one of the elements that made Vietnam ’65 so special. A failure to model unpalatable realities hasn’t led to a horribly misleading portrayal of an arguably unwinnable war. While the play mechanisms that drive A11 are very similar to the ones that drove V65, striving to win the hearts and minds of the Afghan people feels quite different from striving to win the hearts and minds of the Vietnamese. Village visits and enemy destruction remain at the centre of player activity, but new enemies and units, a fresh approach to forward bases, and added elements like infrastructure construction and periodic elections ensure you can’t simply import Southeast Asian tactics and expect to triumph. For those unfamiliar with Nagel’s clever take on counter-insurgency warfare simulation, games of A11 and its forerunner V65 are won by persuading villagers that you’re in control of their localities. Regular village visits slowly shift allegiance stats (the more sympathetic a village, the more likely it is to furnish useful intel about enemy activity) as do successful skirmishes and mine/booby-trap/IED clearing operations. Because your foes operate in small stealthy bands that melt away after an ambush or an intimidation or minelaying sortie, there’s no possibility of completely eliminating them. You must be patient, slowly extending your area of influence while making sure troops in the field get the regular deliveries of rations, ammo and fuel they need. In V65 helicopters were everywhere. They moved men and supplies. They evacuated the wounded and strafed the enemy. Appropriately, in A11, though rotary and fixed wing aircraft have an important role, it’s wheeled vehicles that hog the limelight. High prices (units are purchased with Political Points – income that constantly changes to reflect the popularity of the war at home) make it impossible to create large fleets of Chinooks, Black Hawks and Apaches. You can’t simply air-taxi patrols to and from villages all the time. Highways and dirt tracks must be utilized. IEDs must be braved. One of A11’s most impressive achievements is that it manages to make an activity that’s utterly humdrum in other wargames, genuinely nailbiting. However skilfully you utilize your precious/pricey Huskies, inevitably situations arise when supply trucks, MRAPs, Buffalos and Strykers must be sent down roads that haven’t been swept for a turn or two. Suddenly every honey-coloured hexagon is a potential killer. You eye stretches of tarmac wondering if they were visited by Taliban IED teams during the night. Every time that question is answered with an explosion, A11 reminds you why the preferred weapon of the canny modern-day guerilla isn’t an AK-47 or an RPG. Naturally you can expect to find your units targeted by a fair few assault rifles and rocket-propelled grenades too. As well as visiting village to intimidate the locals and sabotage player-built waterworks, the Taliban will also leave their hard-to-find mountain hideaways to plant bombs, organise ambushes, and – if they are feeling bullish – strike at FOBs and HQs. Allow the overall H&M score to drop significantly and the troublemakers multiply alarmingly. The ultimately self-defeating urge to withdraw – to huddle in FOBs customised with artillery pits, hospitals and maintenance depots – can become awfully hard to resist. Typical of the inspired touches that enrich the inherited COIN mechanics without over-complicating them, is the pace-changing election system. Two or three times in an average scenario you are given advance warning of an upcoming election. After picking a candidate and spending PPs on their campaign, the race is on to influence H&M as much as possible in the five turns before the ballot. Finish that road link to that village in the west! Chinook UN aid to that hamlet south of the river! Clear that heavily-mined pass through the mountains! Every extra notch of positive H&M achieved during this period improves the chances that you’ll be working with a sympathetic president for the next twenty-odd turns. A feature I’m really looking forward to experiencing for the first time (it’s not part of either of the two preview scenarios) is handover. Any US unit present at an HQ can be repatriated for a quick PP boost, but in the latter stages of some scenarios you’ll be forced to send Americans home and rely on local troops to keep the Taliban and militia warlords in check. The Special Forces-trained ANA start out fairly weak. Only through carefully regulated battle exposure can they gain the experience they need to improve. The game’s representation of opium growing was something I was a little concerned about prior to trying the preview code. It’s pleasing to be able to report that though Johan’s COIN model lacks subtlety in some areas (I think I’m right in saying Coalition airstrikes never have negative H&M consequences, and ANA troops never turn on their trainers) in the poppy-field of opium ops it recognises a very real dilemma. While destroying poppy plots reduces the Taliban’s income, it also annoys the folk you’re supposed to be winning over. Talk of simplified logistics also had me worried. Happily Johan hasn’t lost his nerve in this area. A big part of the reason A11’s decision tapestry is so colourful and complex is that Western warriors require regular deliveries of rations, fuel, and ammo. At times these needs lead to wonderfully tangled and nonsensical situations, units expending more energy keeping their supply lines open than in actively hunting the enemy. 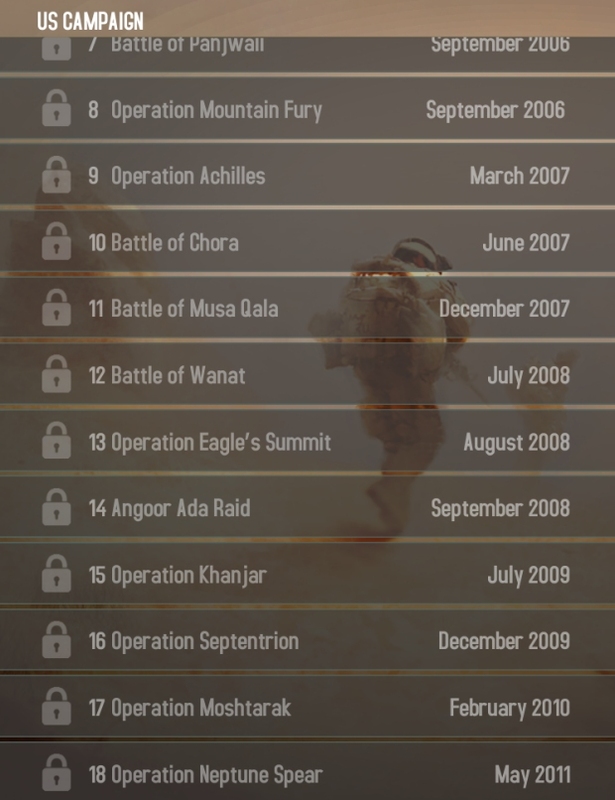 Based on my taste of the 60-turn ‘Battle of Lashkagar’ and ‘Operation Mountain Thrust’, there’s going to be weeks, possibly months, of play and replay in the full 18-op campaign. I’m a trifle concerned by the apparent combination of locked scenarios and a single fixed difficulty setting, but find it hard to believe Every Single Soldier would ship a campaign dotted with immovable roadblocks. Almost every aspect of the preview code inspires confidence. Assuming I can keep a lid on my amaxophobia, there’ll be an Afghanistan ’11 Wot I Think a week or two after release. B-17: Queen of the Skies is a solitaire board wargame that talked its way past Flare Path’s gatekeepers with help from this VASSAL module and this emulator. The star of my current game is a Liberator called Infinite Horace II. Crewed by myself and nine FP readers, it has just completed its sixth op. There’s a dusty Dodge ambulance waiting for Infinite Horace II when he arrives back at Cerignola after combat mission no. 6. From the rash of bullet holes disfiguring the bomber’s rear fuselage, the old hands operating that ambulance have a pretty good idea of where to go to collect their customer. Hundreds of Allied bombs fell on the oil refineries of Ploesti today, but those of B-24J Liberator tail no. 450443 were not amongst them. Horace’s bellyful of 250-pounders shook Yugoslavia rather than Romania. Roughed-up by a mob of Me 109s over the Gledić mountains of central Serbia, we dumped our payload on an innocuous railway halt before turning for home, streaming fuel. Engineer bsplines spent the next three turns playing with pumps while navigator phuzz plotted and pondered (several of the cells in the starboard wing had been punctured during the attack and for a time it looked like we might have to ditch in the Adriatic). Radio operator unacom’s main preoccupation was keeping the mangled Rorschach617 comfortable and conscious (Though our waist gunner survived his ordeal, the seriousness of his injuries means he’ll play no further part in the Infinite Horace II story). In the movies the Me 109 responsible for ending Rorschach’s war would have perished at the hands of Shiloh, Lord Byte, or JFS soon after. Our turret gunners, all of whom scored hits during the hectic three-phase engagement, wouldn’t have ended the day without any confirmed kills. I am considering the horrible possibility that Infinite Horace II may not be the star of this particular picture when a jaunty Canadian called Snowskeeper strolls over and introduces himself. He’s Rorschach’s replacement and assures me he can shoot the knackers off a gnat at 500 yards. Tagged with B-17 Queen of the Skies, The Flare Path, Afghanistan 11.